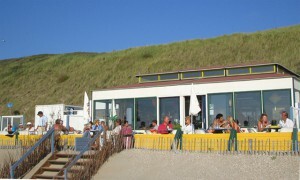 On Zandvoort beach there are around 40 pavilions – or beach cafés as many people refer to them. 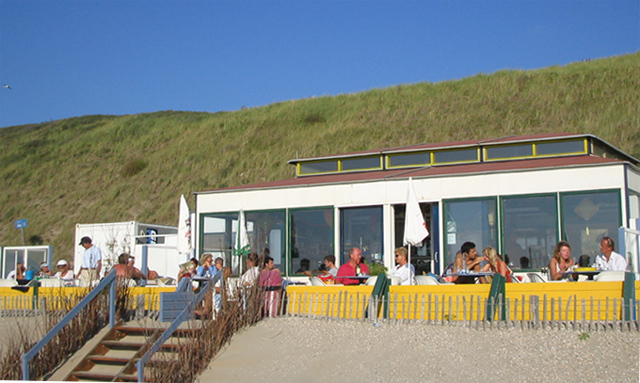 Here they serve a really wide variety of food and drink, mostly from a café style menu though some have full restaurant facilities and menus to match for example Paviljoen Paal 69 shown here from the beach and from the terrace. Obviously one of the main advantages of this kind of establishment as opposed to the village is that you have a wonderful panoramic view of the sea. 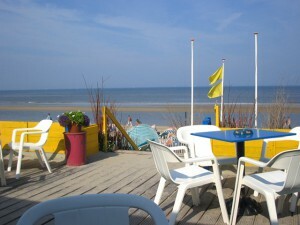 Most visitors to the beach cafés are individuals or families who will probably be spending their whole day on the beach. However there are also many people who choose to go down to the beach specifically to eat or drink at a particular or favourite café in the evening. Indeed, there are at least two pavilions which are permanent fixtures and their facilities are open all year. Away from the beach, there are plenty more cafés down in the village. 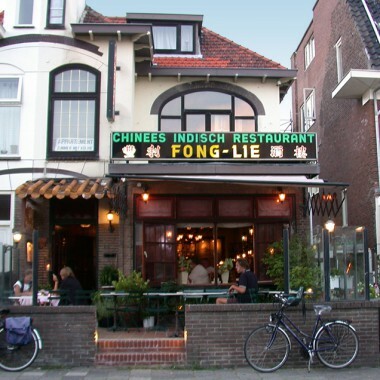 Kerkstraat, Kerkplein and Haltestraat are the main streets in the village centre and these are the main places to find these. Many will offer the option to sit inside or on an outside terrace. 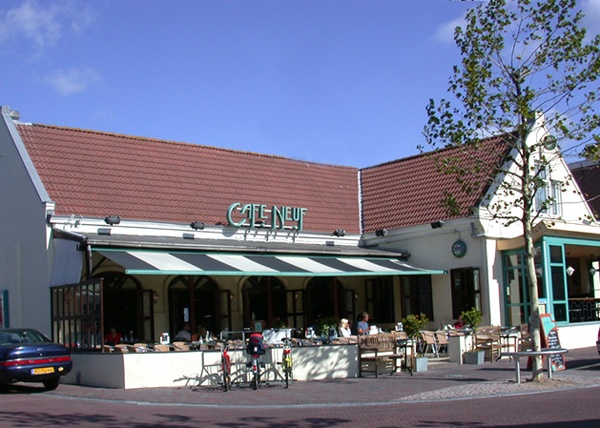 Their menus generally offer hot drinks, sandwiches and cakes though some also have full hot meals and very typically: Uitsmijters on the menu.